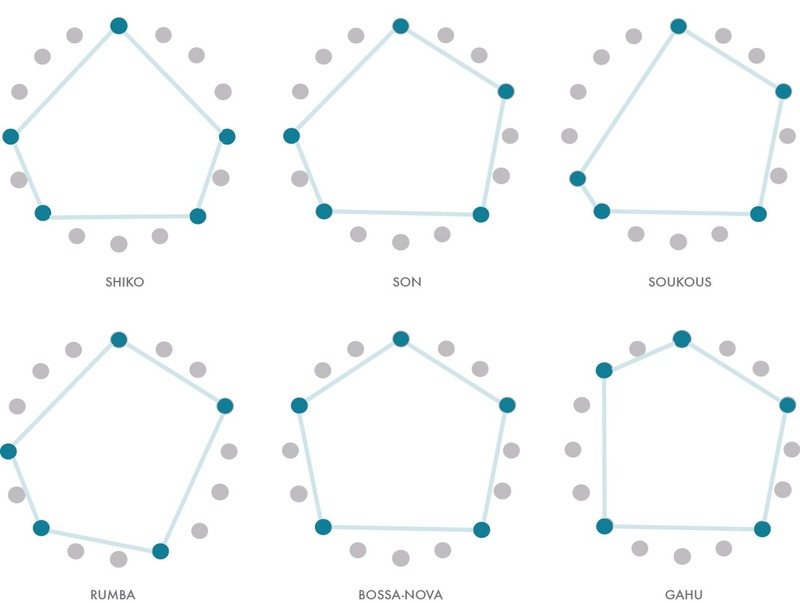 In his book, The Geometry of Musical Rhythm, Godfried T. Toussaint refers to the above necklaces as The Six Distinguished Timelines. These necklaces are representative of some of the most popular in the world. While many other ratios are also used in music, the combination of 5 onsets (audible beats) in a cycle of 16 pulses (silent beats) is especially universal. Each of the above necklaces is known by different names across cultures, and has many variations. For example, the name Shiko originates in Nigeria, while the same necklace is referred to as Cinquillo in Cuba.